On 26 March 2019, the U.S.-U.A.E. 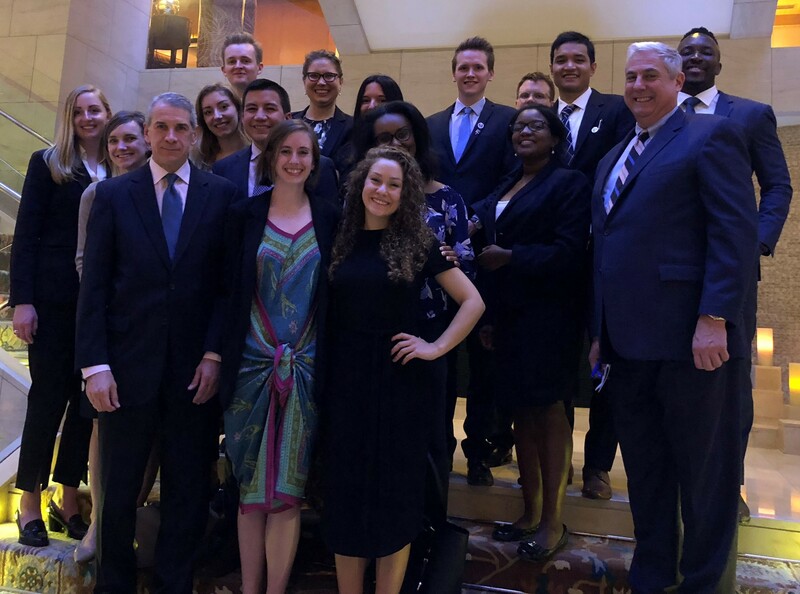 Business Council hosted a dinner with a visiting delegation of Young Professionals in Foreign Policy, which is an organization that works to train the next generation of foreign policy leadership. The delegation is visiting the U.A.E. under the sponsorship of the U.A.E. Embassy in Washington, D.C. to engage with leaders and peers in the U.A.E. with the purpose of exploring how emerging leaders can work together to develop more innovative solutions to global challenges. The purpose of the dinner was to introduce the group to key U.S. and U.A.E. business leaders and to provide broader understanding of the trade and investment relationship between the U.S. and the U.A.E. The dinner was also attended by Mr. Philip Frayne, Consul General at the U.S. Consulate in Dubai. During the dinner, the attendees discussed the U.A.E, its business climate, and areas of cooperation between U.S. and U.A.E. companies in achieving the U.A.E.’s economic development goals. The dinner was part of a larger trip in which delegates met with U.A.E. government officials, cultural influencers, and rising Emirati professionals from all sectors to learn more about the U.A.E., its policy positions, and its strong and longstanding relationship with the United States. In addition, participants visited cultural sites such as the Sheikh Zayed Grand Mosque and the Louvre Abu Dhabi.